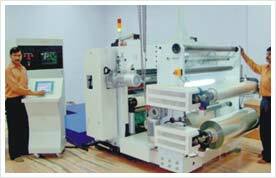 Rasik Group have all the latest and sophisticated machinery for handling the processes like printing, coating, metallizing, holography, slitting etc.With one of the most technically advanced factory in the field of Specialty coating materials operating in India, Our Group is globally integrated and have global distribution network to provide prompt deliveries to our international clients. 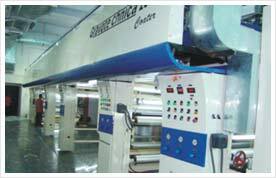 Wrap connections - Wrap connections is a Gift wrap division of Rasik Group which has started production in Jan Feb 2010 and have capacity to convert 20,00,000 gift wrap consumer rolls per month. An ISO 9001:2000 TUV certified company and a member of Hologram Manufacturers Associations of India(HoMAI) ,Rasik Group is commited to achieve total customer satisfaction through its quality products and prompt deliveries. 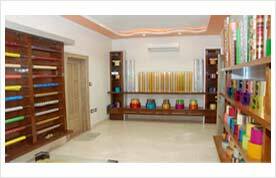 We have strictly associated ourselves with top-grade production facilities in accordance with international client’s expectation. 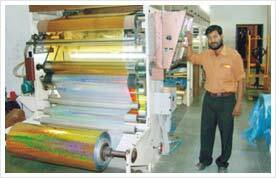 Rasik Group is dedicated to promoting the interest of varieties of industry in India and Abroad , from Graphic packaging industry to Printing industry for helping there customers to Achieve there objectives through the effective use of our base materials ,foils and films in there field of security ,packaging ,graphic and other areas . 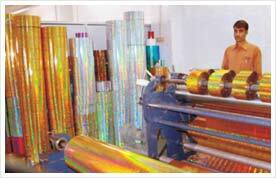 The Group have facilities to do coating and metallizing up to 1600mm but limited width in Holography with 1100mm. 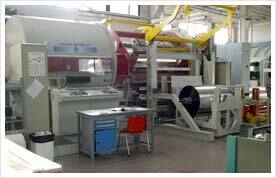 Other than this, we can also offer metallizing facility that is made available in silver as well as HRI finishes.